AMD Turion 64 Mobile is the most advanced family of simultaneous 32- and 64-bit Windows-compatible processors made for mobility. AMD Turion 64 Mobile processors are uniquely optimized to deliver AMD64 performance in thinner and lighter notebook designs. They feature longer battery life, enhanced security with Enhanced Virus Protection enabled by Windows XP SP2, and compatibility with the latest wireless and graphics technologies, today and tomorrow.AMD64 technology enables 32- and 64-bit computing and maximizes performance for both current and future applications, resulting in quicker application loading and an excellent multi-media experienceHyperTransport technology with an integrated DDR memory controller increases application responsiveness, decreases loading time and improves overall PC performance by reducing I/O bottlenecks, increasing bandwidth and reducing latency.With 3DNow! Professional technology and SSE2 and SSE3 instructions, AMD Turion 64 mobile technology is compatible with the largest installed base of multimedia-enhanced software, enabling stellar performance and playback quality on digital entertainment features such as games, streaming video and audio, DVDs, and music. 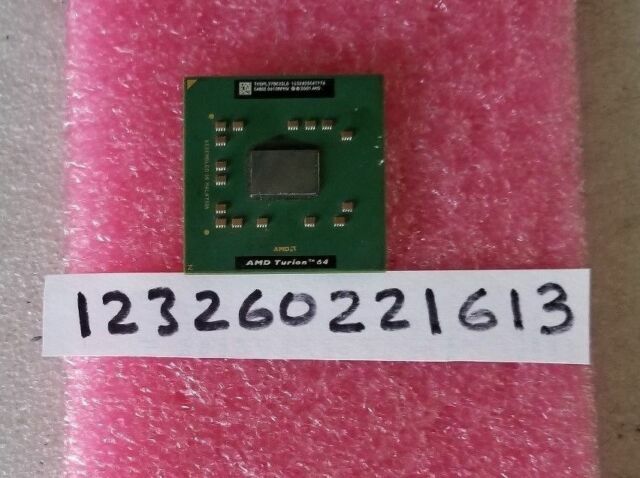 I bought this AMD ML 37 cpu to upgrade on my Compaq v2610us. It had the sempron 3000 rated at 2ghz but it was a little slow for my current needs. So I put this Turion cpu in and it allowed for a little boost compared to my older cpu. Taking the laptop was not that bad with the manual, it took less than an hour to switch cpu's. With the new cpu I can notice a slight increae in speeds but nothing amazying. The heat is about the same and battery life is not noticable maybe a few minutes. I would only purchace this cpu to upgrade if it is cheap. Less than twenty dolalrs for me. I already upgraded the ram to 1gb for 40 and got a bigger hard drive for like 50. Any more money spent and I simply recommend a newer laptop. Plug and play with my old HP nx6125 laptop. Increased CPU speed from 1.6 to 2.0 GHz. Long sought a top processor from AMD and found one in good condition and well priced. With this one I will upgrade my HP Pavilion ze2115us.